CORE has worked with the VVAF (Vietnam Veterans of America Foundation) in the past. 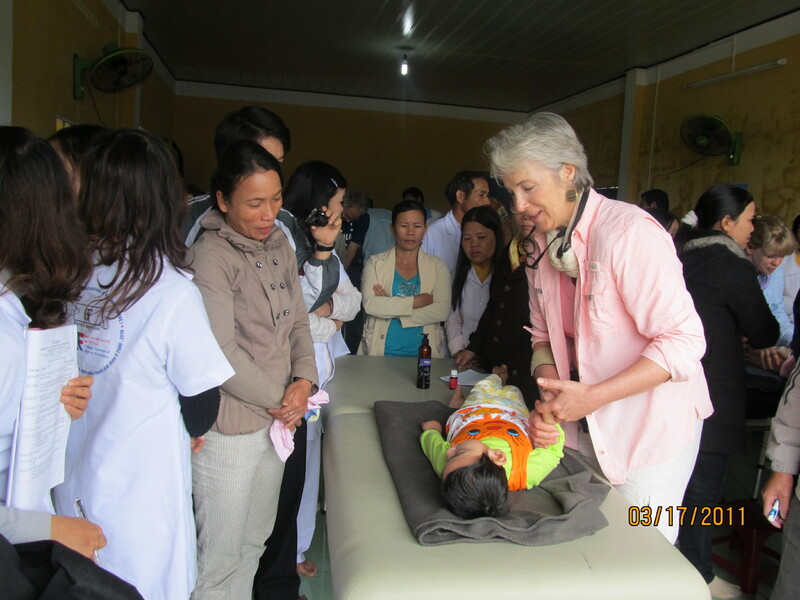 We have performed healthcare clinics at 5 VVAF rehabilitation centers for disabled children and Agent Orange Victims in the Central part of Viet Nam . We sometimes work with more than a hundred kids with one of these visits. The work is extremely rewarding and everyone who travels with us enjoys sharing in the experience. This year CORE has been invited to sponsor a new center. It’s located in the Phu Ninh area of Quang Nam Province. There was a lot of fighting in this region during the war with the Americans. Millions of gallons of Agent Orange (Dioxin) was sprayed over a 10 year period to remove jungled canopy. Consequently, the Vietnamese immersed with an unsurmountable amount of the chemical. This has created many problems with the citizens who survived the war, but also changed the DNA structure of the local families. Now Vietnamese children are born with deformities. The situation has affected the American veterans exposed during their year deployment too. Different cancers, diabetes, lung disorders, neurological conditions, etc. have been attributed to Agent Orange exposure by the Veterans Administration. Some American children are also born with deformities. It’s a random gene that can cause the problems. The genes are changed by the altered DNA now within the family lines. Some families will not be affected, while others may have a single child born with severe disabilities. Some families have more than one child with problems and the parents have diseases of their own as well. It’s a serious predicament that they seem to have to deal with all on their own. CORE Vietnam and the VVAF are willing to help. The VVAF will supply the building for the center and supervise the project and CORE will supply Physiotherapy equipment and employ the physiotherapist. The total cost for CORE’s involvement will be $12,000, a seemingly mere price within the Vietnamese economy. However, the benefits to the children of the area will be great. We will dedicate the rehabilitation center on our next Journey to Vietnam (September 26-October 11, 2015). I will also be teaching the therapists updated techniques and our groups will visit the center annually from now on. John Fisher (CORE director) : 4303 Old Kings Hwy, Murrells Inlet, SC 29576.